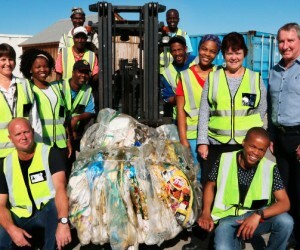 GMSA's Vehicle Conversion and Distribution Centre (VCDC), situated in Aloes about 20 kilometers from the manufacturing plant in Port Elizabeth, is GM's second non-manufacturing facility worldwide to achieve landfill free status this year. 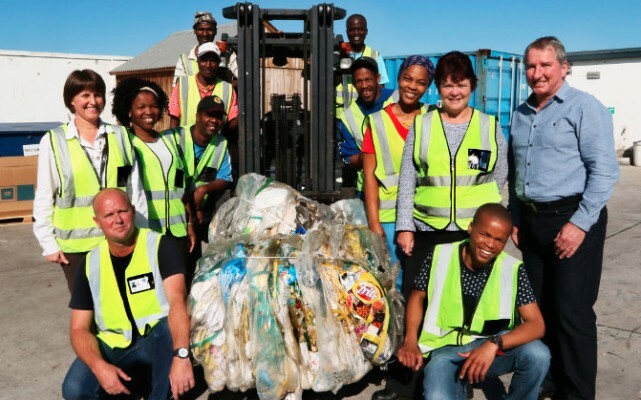 This accolade follows hot on the heels of the Parts Distribution Centre situated in the Coega Industrial Development Zone which was declared landfill free in May. These two non-manufacturing facilities were the first of GM's global sites to achieve this milestone year to date. GM now has 134 landfill free operations around the world. Africa's Environmental Group Manager, Ncedisa Mzuzu, said this achievement came after years of planning and hard work. "We started off by developing a roadmap for the site. This included waste profiling, tracking and changing processes like changing car protectors used for shipping from non-recyclable to recyclable materials," she explained. The 31 hectare state of the art centre was opened in 2008 and has the capacity to store more than 8 000 vehicles. In addition to storage, the servicing of company fleet vehicles and the distribution of vehicles to dealers across the country are facilitated from the site. The types of waste generated at VCDC include oils and service related material, paint and solvents from the on-site paint shop, scrap parts, tyres and batteries, packaging and shipping waste, fluorescent tubes and food waste from the canteen. No more waste to landfill sites means that most of the waste generated is being re-used or recycled according to Mzuzu. "We have made significant efforts in recent years to mitigate the impact of the business on the environment. It is our goal to be landfill free at all of our GM sites by 2020," she said. The two manufacturing plants are next, said Mzuzu. "Both facilities have shown signs of compliance in recent months, with Struandale and Kemspton Road having had no waste sent to landfill sites over the last two to three months respectively." South Africa's popular sub-one ton, the Chevrolet Utility and the Isuzu KB are manufactured at the Struandale plant, while Isuzu trucks are built at the Kempston Road plant. GMSA's environmental management system is certified to the ISO 14001:2004 standard.